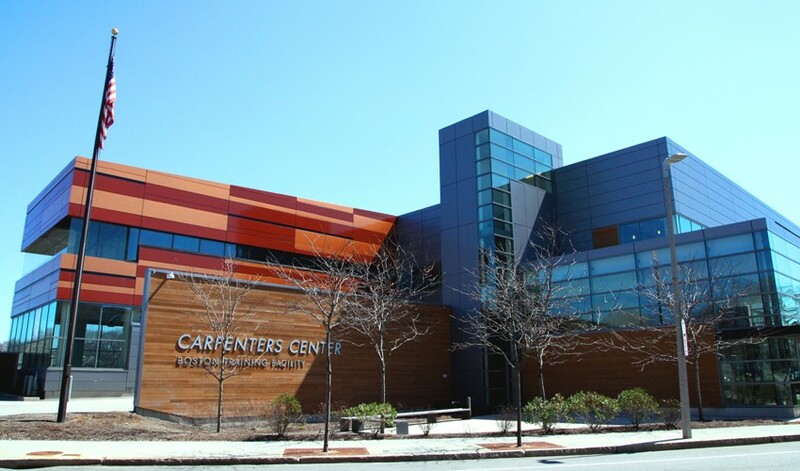 The New England Regional Council of Carpenters headquarters in Boston inhabits an old factory building that was previously abandoned. 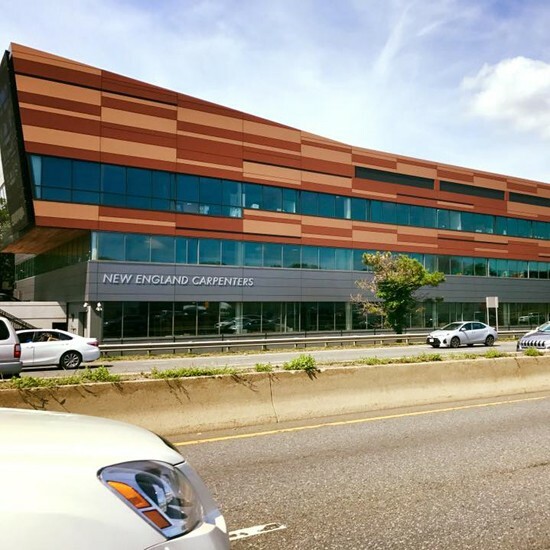 The project was led by Suffolk Construction, who converted the property into a LEED-registered, three-story office building and training facility. Sunrise fabricated and constructed all exterior systems for the center, as well as all interior glazing. 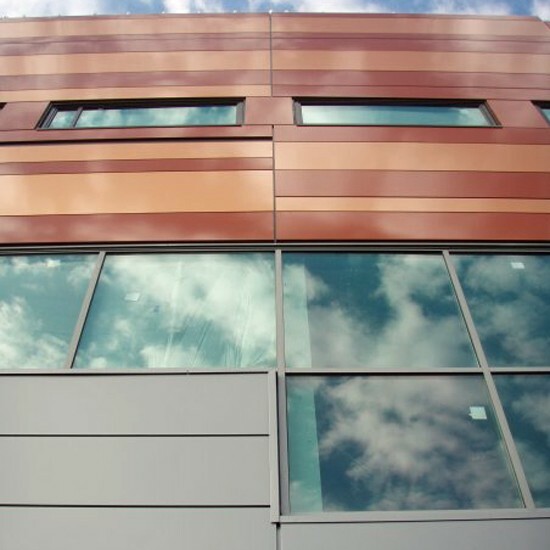 Sunrise’s systems included the “dry” aluminum composite panel rainscreen system, the western red cedar tongue-and-groove rainscreen system, storefront, curtain wall, aluminum and glass entrances, insulation, and AVB. The center is a “can’t miss” landmark when driving into the city on the Southeast Expressway.